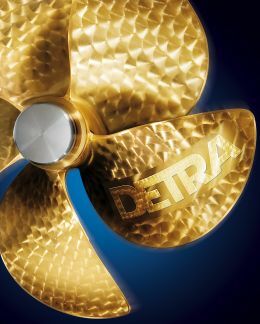 We met Piero Travi, an engineer with Detra Custom Propellers of Genoa, a company specialised in the design, production and fine-tuning of propellers for medium-large size yachts, ships and submarines. Given his great experience of propulsive systems we tackled the subject of propellers specifically for superyachts, and were rewarded with important information about both the materials employed and the design aspects. Everybody knows what a propeller is because, after sail, it is the most widespread propulsive system. Mr Travi, can you summarise, also for the layman, how your company designs and produces a propeller? We'll deal separately with design, which is evolving towards increasingly perfected technologies. What about propellers for superyachts? Do you use any materials more modern than bronze? What we design and produce for yachts are propellers that come under the medium category, i.e. between 700 and 2500 mm diameter. As for materials, bronze is still king in this category, followed by steel and composite materials. Nickel-bronze-aluminium alloy is the name of the best bronze for casting propellers. It has optimal mechanical properties which, combined with excellent characteristics of ductility and compatibility with a marine environment, make it the material par excellence for this type of use, irrespective of size and applications. Is stainless steel, which is widely used for small propellers, also employed in this field? In comparison with bronze, the steel used for conventional propellers is more expensive, harder to work and needs treatment after casting. 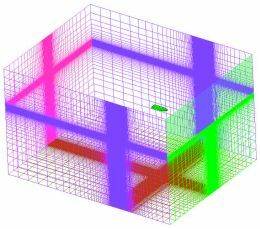 Though it has a slightly greater breaking load and a decidedly higher yield strength value, it doesn't permit such reductions in thicknesses as to achieve significant improvement in performance. Competition propellers are a different matter. They function only partially immersed. To meet the endless demand for performance, special steels are used which, through the procedure of microfusion and subsequent treatments of the material, achieve very high mechanical characteristics that are reflected in performance improvement. So what will the materials of the future be: composites perhaps? No, not even those. Composite materials - carbon fibres and similar - have the great merit of permitting controlled deformability of the blade, through appropriate design of the stratification and therefore the orientation of the fibres. This means that the blade can bend under load, improving acceleration and reducing any vibrations induced by variations of speed on the propeller disc (wake holes). 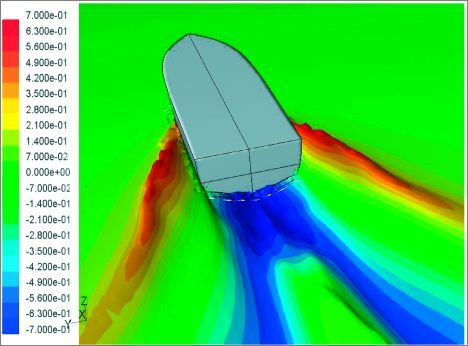 But the extreme lightness and toughness don't make up, in conventional applications, for the very high costs, the lack of safety - extremely limited local toughness in the case of impact - and delaminating at high speeds due to cavitation processes. Could it be titanium then, which is famous for toughness and resistance to corrosion? Titanium might be considered because it's lighter and can't be corroded, but it's decidedly more expensive. As for being compatible with the ductility required of propeller materials, its specific mechanical qualities are wholly analogous to those of bronze. 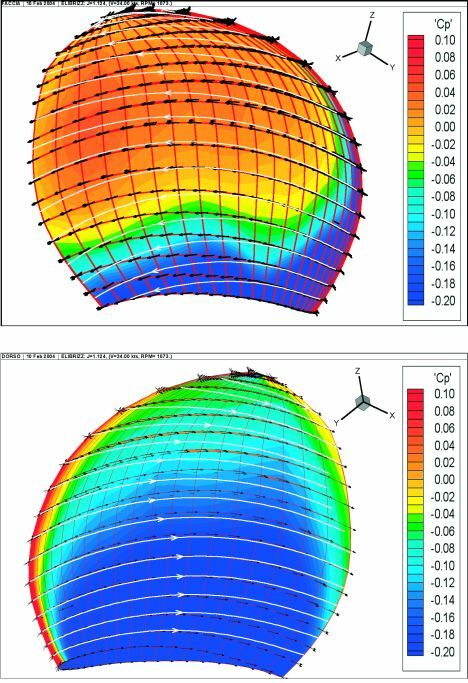 Let's talk about propeller design: how is this done today, and what data do you need for customisation? 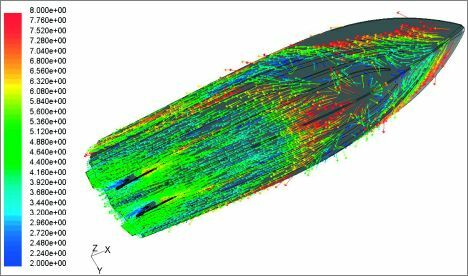 Propeller design to date has been entrusted to hydrodynamic calculation software with subsequent verifications based on panel method programmes or cavitation tunnel tests. The calculation codes used to define blade geometry (chord lengths, pitch, skew, rake) and that of the sections (distribution of thicknesses and the median line) are based on the lifting line and surface theory. Whereas correct functioning of the propeller, also in the case of non-uniform wakes, is checked by means of calculation of pressure distribution (and therefore also the extent of cavitation) on the blade surfaces, carried out with panel method programmes. However, propulsion systems design is still handled separately from hull design and uses, as a basis for calculation, the result of the hull resistance estimates and of the propulsive coefficients deriving from processing programmes or tank tests that link propeller functioning to the hull. That's how things have been to date. But for the future, will technology lead to a different approach to design? The continuous evolution of available calculation methods will shortly take us to considering the overall vessel as a single system in which the various aspects of hydrodynamics, propulsion and seakeeping interact in a single mathematical model that moves through conditions of equilibrium at the various speeds, just as happens in reality. 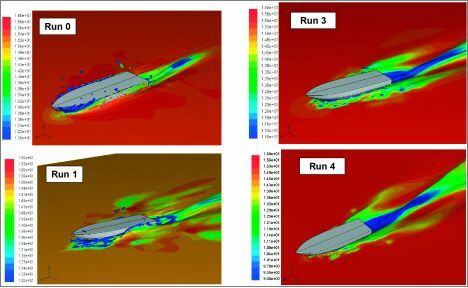 The fundamental difference is that neither the real boat nor the model for experimental testing will be built in the design phase: there will only be a complete mathematical model defined by the computer, something we may correctly call a "virtual boat". This is possible, and will become even more so, thanks to CFD (Computational Fluid Dynamics). But won't CFD supply limited information in comparison with traditional testing? Not at all. The information supplied by this type of approach is far more extensive than what's available today with traditional methods. 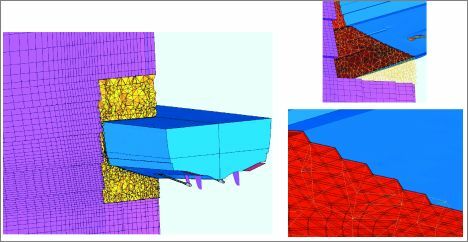 We have complete management of the project in a single virtual environment: hull, appendages and propulsion can be studied, modified and optimised, thus directly obtaining the effects of the projected change on the system as a whole, including its behaviour with a sea running. This sector of numerical fluid-dynamics is currently evolving rapidly and we may expect important results in the coming years. Though it must be said that application is still greatly limited by the long time spent in definition of the mathematical model, the machine time required for calculations and the uncertain reliability and precision of the results. So CFD is the right road to take? As far as we're concerned, definitely. In fact a lot of sector companies are making big investments in research in order to satisfy a market in continual evolution that requires increasingly evolved and qualified engineering responses. Detra, in collaboration with Sydac Yacht Design, believes in a future as outlined above, with full commitment to the indispensable factor of quality.